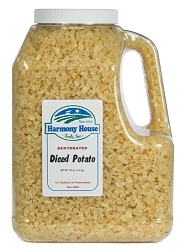 Our jug size contains a full gallon (16 cups) of fresh tasting dehydrated Potato Dices! White Potatoes are a delightful addition to any meal... and our White Potatoes are an even better addition. Feathery light and creamy white, they are of exceptional quality. 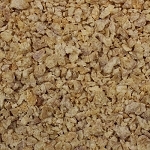 Use our bulk dehydrated potatoes in soups, stews, or other recipes--or just cook and eat plain! Our JUG SIZE contains a FULL GALLON (16 Cups) of fresh tasting dehydrated Potato Dices! White Potatoes are a delightful addition to any meal... and our White Potatoes are an even better addition. 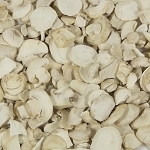 Feathery light and creamy white, they are of exceptional quality. 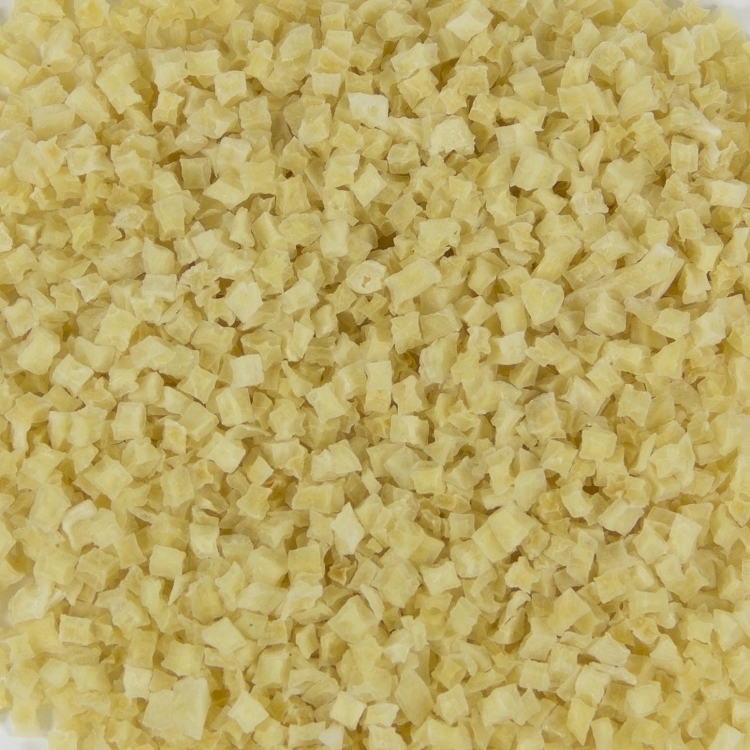 Use our bulk dehydrated potatoes in soups, stews, or other recipes--or just cook and eat plain! They hold more of their nutritional value than their canned or frozen counterparts so serve them to your family with confidence. Enjoy the fresh flavor of potatoes without all the peeling, washing, & dicing. Ingredients: Potatoes, Sodium Bisulfite to preserve freshness. Exceptional quality. Non-GMO. Gluten Free. Kosher OU. Ingredients: Potatoes, Sodium Bisulphite to preserve freshness.